Eric C. Jones is a Research Associate of the Human Relations Area Files at Yale University, an Assistant Professor in the School of Public Health at the University of Texas Health Science Center at Houston, and Director of Social Network Products and Services at Medical Decision Logic, Inc. 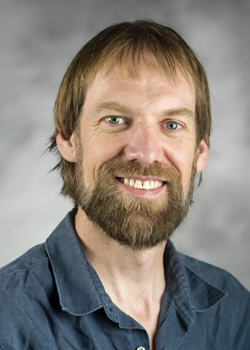 He is also Co-editor-in-chief of theJournal of Ecological Anthropology. Eric has focused his recent work on understanding how the structuring of social relations following extreme events impacts individual and group wellbeing and recovery. His general research interests concern heterogeneity and collective action under conditions of environmental or social change, as well as under more normal circumstances such as social networks involved in improving formal and informal education. He is the first author of the co-authored the edited volumes The Political Economy of Hazards and Disasters(2009, AltaMira), Social Network Analysis of Disaster Response, Recovery and Adaptation (2016, Elsevier), and authored the innovative methodological piece “Extreme Events, Tipping Points and Vulnerability: Methods in the Political Economy of Environment” in Environmental Social Sciences: Methods and Research Design (2010, Cambridge University Press). Visit Eric’s homepage at University of North Carolina Greensboro for more information.